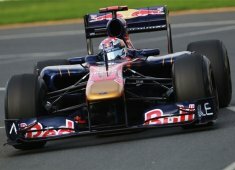 It was a difficult and frustrating day at Shanghai for the Scuderia Toro Rosso. Jaime Alguersuari was forced to retire as he lost a wheel right after a pit stop. Team mate Sebastien Buemi finished the race in 14th position, but was left frustrated not to score any points.